Scotland’s Recoat Gallery hosts the UK’s first comprehensive “Graffuturism” Exhibition titled “Rudimentary Perfection”. Mark Lyken has curated an exhibition that pulls together an impressive group of notable international artists linked by their innovative spirit & shared graffiti heritage. Each of these artists has ventured down unique paths in their post graffiti output & each offers a radical take on expressive, figurative & letter-based abstraction. These works, while differing in approach & execution retain the sense of movement, assured marks & imperfect beauty of graffiti itself. 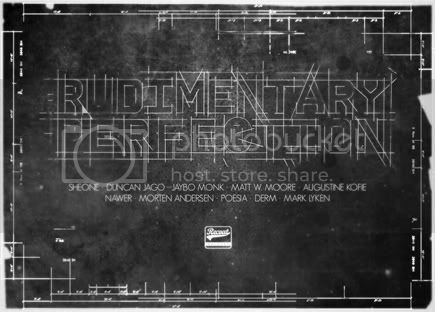 SheOne, Duncan Jago, Jaybo Monk, Matt W. Moore, Augustine Kofie, Nawer, Morten Andersen, Poesia, Derm & Mark Lyken. Show runs from 2nd to the 31st July 2011.